Mackie Cao sings ‘Sirena’ to show that she will never give up. The Top 12 of The Voice of the Philippines Season 2 will be decreased to Top 8 and only two artist per camp will go ahead of the competition. Team Apl’s Alisah Bonaobra, Mackie Cao, and Daryl Ong tried their best to keep a spot on the next Live Show. Mackie Cao sung ‘Sirena’ shared that her family had been her inspiration. Her mom had always been the one helping her with her things every time she goes in a contest including her clothes and makeup. She was able to provide for her family through joining various singing competitions. Apl said that she had to add more attitude in her rap part. Bamboo said that this was his favorite performance of hers so far. Her rap part was great and it was sung well. Apl likened her song as a Facebook status that must be ‘Liked’ and ‘Shared’ in the whole world. 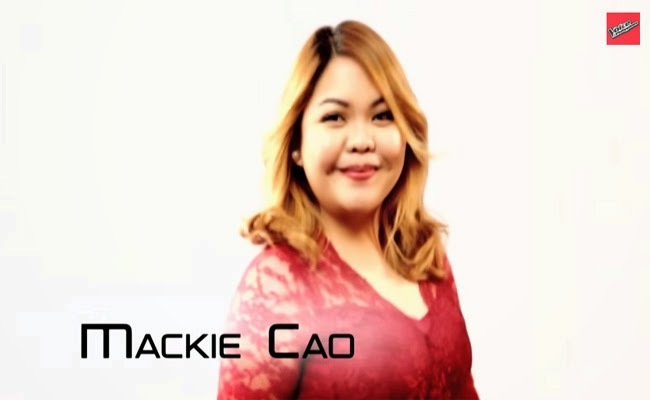 On February 7, Alisah Bonaobra and Daryl Ong had been saved by the votes of the viewers while Apl had saved Mackie Cao. With the new rules, the voting lines are only open for 5 minutes during the commercial break after all three performances. The results will be shown before the end of the show. Who will you root and vote for? Who will say goodbye this time?